Growing a business is not easy. It requires boosting sales but it is not merely selling the product or service to existing and prospective customers. A business is successful only if it has a systematic and efficient way of gathering leads so that they can be converted to sales and ultimately loyal customers. After so much research and analysis on the various customer relationship management software’s, Salesforce is recommended as the best CRM software for businesses as it offers everything needed to make it faster and easier to close sales for a business. Here are some convincing reasons as to why it is the best CRM software in the market. CRM software solutions were offered in an ‘on-premise’ delivery model 15 years ago. Companies installed the software on their servers and maintained it in-house. However, with the on-premise CRM, IT companies had to take on the technical responsibilities which include system design, infrastructure and server management. This paved way for a novel kind of CRM - the Cloud based CRM. In any cloud based CRM, applications are hosted by the vendor and organizations can gain access to data through the web without having to worry about any technical aspects of managing it. Cloud CRM has become popular over time upsetting the concept of the on-premise CRM model because there was no software licensing fee involved, the organization did not need dedicated IT staff or infrastructure. This has in turn reduced the cost of monthly services and eased the set up process. Organizations were in need of a cloud CRM to deal with all sorts of customer concerns varying from marketing and sales to customer service - to streamline the enterprise and help in saving valuable resources and time. Salesforce was founded in 1999 by former Oracle executive Marc Benioff, Parker Harris, Dave Moellenhoff, and Frank Dominguez - with a vision to reinvent the Cloud CRM model and now, Salesforce defines the new era of cloud computing. Salesforce professional edition helps the marketing team of a company create and track various marketing campaigns to measure the success rate and automatically provide leads to the sales team of the company. ​ Salesforce also keeps a track of various customer issues and tracks them for resolution based on various escalation rules such as the importance of the client and elapsed time. This improves customer satisfaction levels as the issues do not fall through loopholes and are directly escalated to the next level. ​With visual dashboards and extensive reporting features, Salesforce provides the management of a company with visibility on what is happening in different teams. Salesforce has very robust training and support features that are above industry standards. Salesforce users can easily find answers to their questions from the extensive online help manual and the video walk facility. ​Salesforce can be integrated with other systems to extend its functionality through the Salesforce business app store - the AppExchange. Salesforce CRM was awarded as the World’s Most Innovative Company by Forbes Innovators for 4 continuous years (2011-2014). Salesforce also featured in FORTUNE’s 100 Best Companies to work for in 2012-2014. With over 2 million customers (amassed in a short while) which include popular data giants namely Fujitsu, Facebook, Coca-Cola, L’Oreal, Sony, and Vodafone - Salesforce CRM is truly the undisputed market leader in the CRM Software market . Integrator Bluewolf interviewed close to 450 client companies and concluded that 84% of the enterprises believe in customer engagement as the primary key element for future growth of the enterprise. Buyers perceive Salesforce as the platform integral for rendering qualitative customer engagement experience. 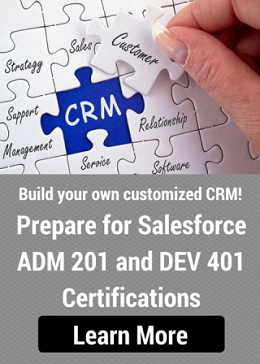 Learn Salesforce CRM to build enterprise applications! According to Gartner, the overall value of the Global CRM Software Market was 20.4 billion USD by the end of 2013 - which is anticipated to increase by 13.7 % every year, making the global CRM software market a billion dollar space. Salesforce is right at the top contributing to 16% of the overall CRM Software market share, making Salesforce and CRM software inseparable. According to the Gartner research reports, 94% of the Salesforce CRM revenue generated from the ‘Support and Subscription’ fees whilst only 6% of the revenue comes from ‘Professional Services’. Salesforce is concentrating on “Supports and Subscriptions” to grow its revenue exponentially. The company’s CEO Marc Benioff stated that “Salesforce.com has recorded constant currency and deferred revenue growth of 30% or more year-over year. The company expects revenue to rise to between $6.45 billion and $6.50 billion in 2016. With a complete long term vision and its high capability to execute, Salesforce CRM Software claims the highest position in the Customer Relationship Management software market. The ability to execute this vision on ground has helped Salesforce reach the top. In 2014, Gartner, once again titled Salesforce as the leading CRM software. Salesforce has maintained this position for 4 years in a row.Salesforce has emerged as the leader in the Gartner’s Leader Magic quadrant for 2014 (the image below illustrates the leading position of Salesforce when compared to other CRM software players). Salesforce has a smart acquisition policy to increase enhanced capabilities. As part of their long-term vision, they were successful in numerous strategic acquisitions from the year 2006. Strategic Acquisitions have helped the Salesforce CRM Software build highly broadened marketing eco system referred to as the Marketing Cloud. In June 2013, ExactTarget was acquired for $2.5 billion which helped enhance the Marketing Cloud through email campaign management and marketing automation. ExactTarget acquisition has also resulted in Salesforce owning Pardot, an application for marketing automation that primarily works in the area of online marketing campaigns. Pardot helps boost sales by creating and deploying marketing campaigns. Pardot has a vital significance in increased revenue and efficiency of Salesforce CRM Software. The most recent strategic acquisition has been that of RelateIQ for $390 million which helps eliminate manual data entry by automated tracking of relationships in the CRM space. This will certainly be a critical value addition offering in Salesforce Marketing Cloud. Salesforce is the innovator of the SaaS approach in the enterprise space. Its proficiency in on-demand software helps reduce the costfor customers as it provides a common networking, hardware and software platform. Customers can improve sales and enhance communication through various SaaS offerings of Salesforce namely Salesforce Chatter, Sales Cloud, and Service Cloud applications. Salesforce acquired Heroku in 2010 to provide its customers with PaaS (Platform as a Service) to provide support for various programming languages. 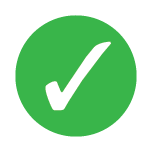 Users can customize their applications with developer tools like TheAppExchange and Database.com. With diverse offerings and wide product portfolio, Salesforce is inventing the future while other competitive CRM software applications like the Siebel are just trying to get into it. Gartner has stated that by 2015, an overwhelming 60% of Internet users will have a preference for mobile customer service applications, with various devices and applications being available on a single platform. To stay tuned with the increasing demand and growing trend, Salesforce launched Salesforce1 in October 2013- an innovative CRM platform for software vendors, developers, and customers for connecting applications and third-party services such as Dropbox, Evernote and LinkedIn.Instant and customized Customer Service, On-Screen guided support and live video support are just some of the remarkable features of Salesforce1 which contribute to its dominance in the CRM software space. Salesforce1 has seen significant growth of active mobile application users which is whopping 96% with 46% increase in the active users for customized mobile applications. Thus, Salesforce1 is successful in leveraging the growth in the Customer Relationship Management Software market by meeting the increasing demand mobile devices’ service providers. What the future holds for Salesforce CRM Software? With different Salesforce reviews on the web, it is palpable that though the cost for Salesforce CRM Software service is more, has the best user-friendly interface when compared to other CRM softwares such as Siebel, SugarCRM. According to IDC, the overall Marketing Automation market is poised to touch $5.5 billion in 2016 from $3.7 billion in 2011which presents exceptional growth projections for Salesforce CRM in the marketing category. Salesforce is on the brink to provide an array of diversified cloud applications and services to meet the unquenchable demand for cloud computing. Salesforce Customer Relationship Management software is all set to grow exponentially in the CRM software market.